In order to get an adventure path going, the players need characters, and ideally, they’ll create characters that are suited for the particular adventure path they’ll be undertaking—characters who come from the appropriate region(s), and have relevant skills and abilities. In the case of the Giantslayer Adventure Path, they should come from the town of Trunau in Belkzen or have a reason for being in Trunau, and they should be interested in fighting giants. The Giantslayer Player’s Guide provides players with the tools they need to create such characters. And it does a reasonably good job. One of the difficulties adventure path player’s guides can encounter is providing enough information to let players create characters appropriate to the entire campaign—not just the opening—while not giving away too much about later parts of the campaign. 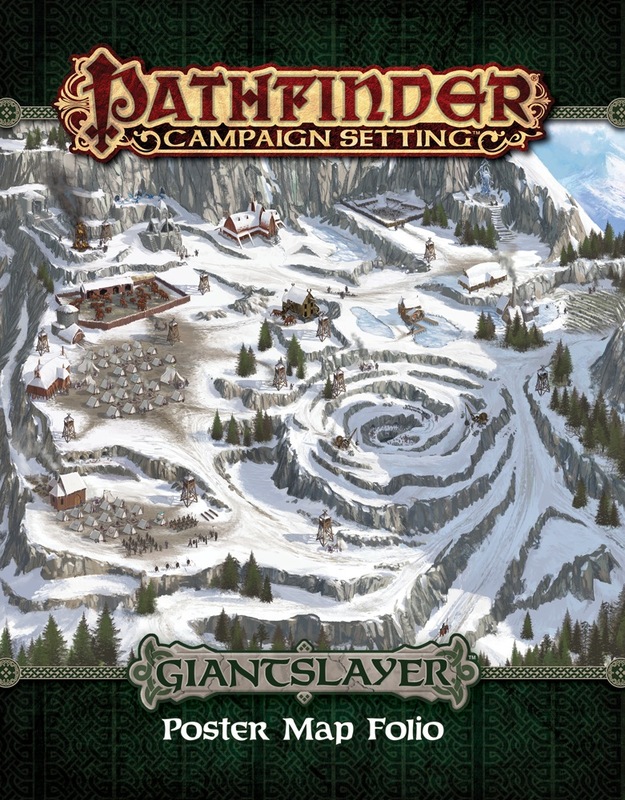 In the case of Giantslayer, this means making it clear that the PCs will be fighting giants (it’s in the name of the adventure path, so it shouldn’t come as much of a surprise to the players even though it may be to the characters) and that they will be travelling through the Mindspin Mountains. 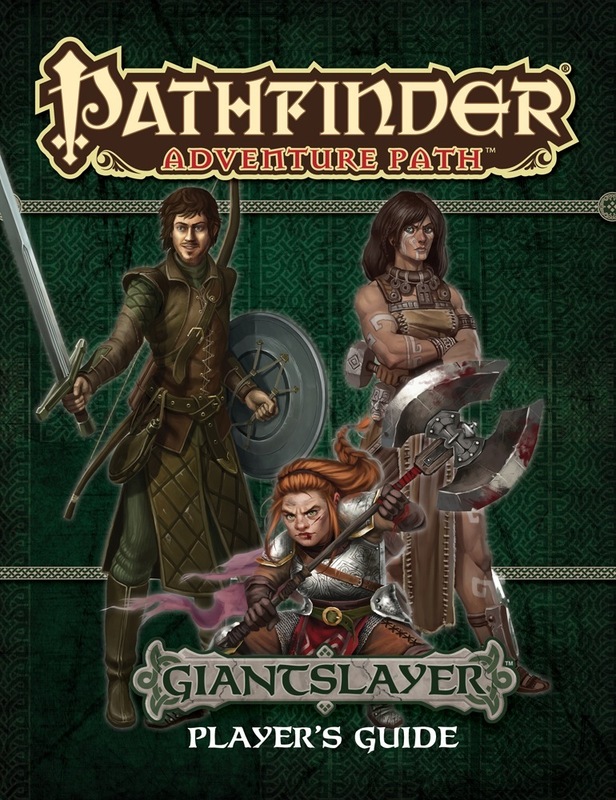 Like most adventure path player’s guides, the Giantslayer Player’s Guide opens with a brief overview of the campaign. This includes some suggestions on how the characters might already know or come to know each other. It then moves on to some basic character tips, including suggested archetypes, animal companions, bloodlines, favoured enemies, and so on. Since it’s not mandatory that PCs come from Trunau (although it is strongly recommended that at least one come from Trunau), it also includes a section on possible nearby places of origin. Doctor Who episodes can run the gamut from serious to funny, dramatic to silly, joyous to sad, terrifying, exciting, emotional—heck, sometimes even a little boring. This isn’t just a change from one episode to the next. Doctor Who frequently mixes many or all these things into a single episode. It doesn’t always work, but when it does, the results can be incredibly fun. And that’s the best way I can sum up “The Tsuranga Conundrum” by Chris Chibnall: fun. It’s fast-paced, tense, funny, silly at points, and just plain fun. I love every moment of it, from beginning to end. One thing Doctor Who is well known for is including lots of creepy chills and scares. This week’s episode is the kind that gives the show that reputation. Just in time for Hallowe’en, “Arachnids in the UK” presents us with giant spiders creeping out from under people’s beds, crawling along dark corridors, and spinning lots and lots of webs. It’s the kind of episode arachnophobes might want to avoid. In true Doctor Who fashion, however, the episode also provides moments of humour to soften the terror, and lots of great character moments. 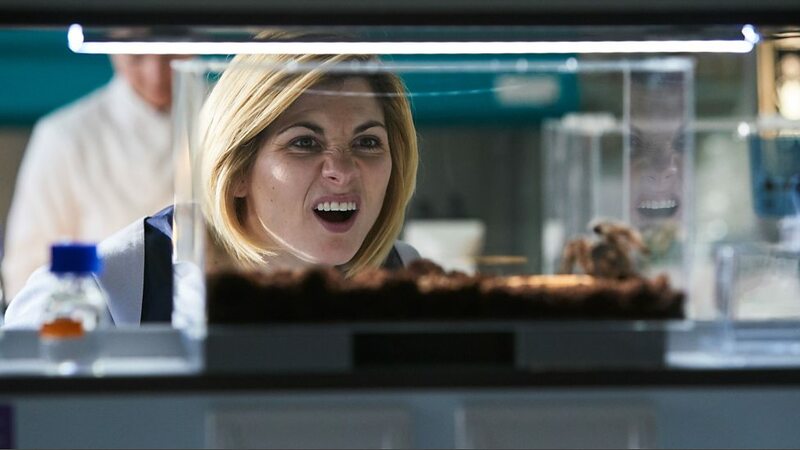 Coming immediately after the incredible heights of “Rosa”, it’s not surprising that “Arachnids in the UK” does not reach those same heights, but it’s still a highly enjoyable episode. Unfortunately, it does have a somewhat weak resolution, which can make it feel a bit disappointing, especially in comparison to “Rosa”. However, the resolution aside, the episode has many great strengths, particularly the initial build-up of threat and the characters, which include our first introduction to Yasmin’s family. 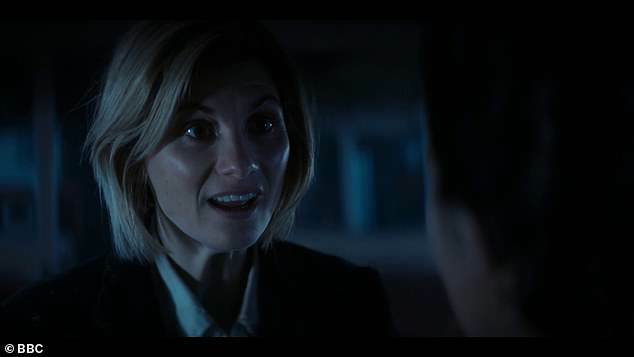 Overall, I’d say it’s my least favourite episode of Series 11 so far, but considering how strong the series has been, this does not make it a bad episode at all. Disclaimer: I received a free copy of this novel from the author in return for an honest review. Fantasy can be a genre in which it’s difficult to stand out. There’s a lot out there, both good and bad, and a lot of it can be very similar, following the same basic tropes and formulas. Indeed, it’s often expected to follow those tropes and formulas. Aching God is a novel with many of the usual trappings of fantasy, particularly those established in roleplaying games like Dungeons & Dragons and Pathfinder. It involves a quest (perhaps the most iconic trope of fantasy). There is lots of magic, some of which is practised by sorcerers who have different kinds of specialisations. Other magic is used by followers of the various different gods, who grant their priests spells that can heal or protect. While there are many gods, their worshippers tend to follow one solely rather than worship them as a pantheon. The world also has warriors and roguish types, and of course there are monsters and other kinds of threats and challenges for the heroes to face. 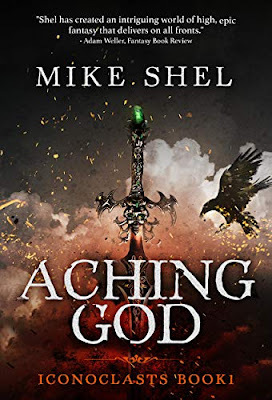 I will confess, it took me a little while to get into the book because, at first, there didn’t seem a lot to differentiate it from all the other very similar fantasy out there. However, it wasn’t all that long. After a couple of chapters, the book begins to establish its own identity as we begin to learn a bit more about the world. By around the fourth chapter or so, I was hooked. When Doctor Who began in 1963, its original purpose was to be an educational adventure series to teach children history and science. It soon drifted away from that purpose. Over the years, it has tackled a variety of different types of stories, subjects, genres, and styles, though a focus on adventure has always remained. And during those years, some periods or individual episodes have stood out more than the others. This week’s episode is one of those. I have loved Series 11 so far. It’s brought back a thrill for watching Doctor Who that I haven’t felt in a long time. 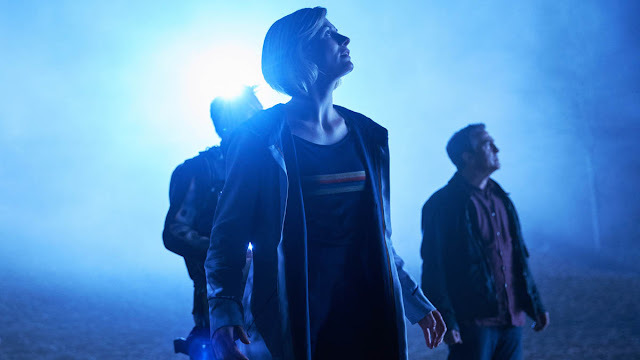 “The Woman Who Fell to Earth” and “The Ghost Monument” are both great episodes, and I stand by that. But “Rosa” blows them both away. It is, quite simply, one of the best Doctor Who episodes ever. It’s also an episode that quite firmly returns to that original purpose to be educational. Doctor Who has often set stories in historical time periods, but “Rosa” is a kind of historical the show hasn’t done in a long time. In the first couple years, it was relatively common for stories to be what have come to be called “pure historicals”. Stories like “Marco Polo”, “The Aztecs”, and “The Reign of Terror” not only took place in historical times, but also involved no science fiction elements beyond the Doctor, his companions, and the TARDIS (and the TARDIS was only involved as a means of landing them there and taking them away at the end). There were no aliens, no other time travellers trying to change history, no fantastical elements of any kind. By the end of William Hartnell’s time as the first Doctor, the pure historical stories were already becoming less frequent, replaced in favour of science fiction action stories. Patrick Troughton’s second Doctor only had one pure historical, his second story, “The Highlanders” in late 1966. The next pure historical wasn’t until 1982’s “Black Orchid” with Peter Davison’s fifth Doctor. And there hasn’t been one since. However, over the years a type of story now often referred to as a “pseudo-historical” started to appear occasionally—a story set in some period of history, but which also included science fiction elements such as changing history (like “The Time Meddler” from 1965) or aliens (“The Time Warrior” from 1973). The degree of focus given to the period can vary, but it is always at least part of the backdrop. Since 2005, one form of historical story that has become popular is the “celebrity historical”, which not only takes place in the past, but also involves some well-known figure from that time, like Charles Dickens in “The Unquiet Dead” or Agatha Christie in “The Unicorn and the Wasp”. However, all the celebrity historicals since 2005 have also been pseudo-historicals. “Rosa” is not a pure historical. However, it is the closest Doctor Who has come to one since “Black Orchid”. While it does have science fiction elements, they are minimal, and the historical story of Rosa Parks remains at the forefront. Obviously, however, it is a celebrity historical. “Rosa” is not an easy episode to watch. It will make you uncomfortable (at least, I hope it does). It’s designed to make you feel uncomfortable. It shows a frank and brutal depiction of Montgomery, Alabama in the 1950s, pulling little in the way of punches, apart from softening some of the language to keep it viewable by children. It is definitely the most real historical the show has had since 2005, possibly that it has ever had. It powerfully depicts the reality of the racism that existed at the time, while also reminding us of the racism that still exists today. It offers hope for a better future, while also reminding us that we have to remain vigilant and that change takes work. The world we live in today may be better in some ways than it once was, but it’s not perfect. 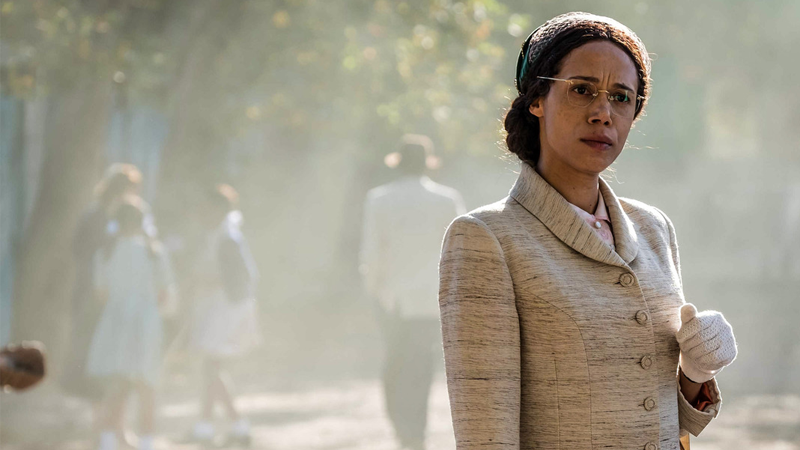 Tackling a sensitive topic like Rosa Parks and the rise of the Civil Rights Movement in the United States is not an easy task for any show, but especially for a show like Doctor Who which deals frequently with time travel and manipulation, and that has a white lead character. It could easily go very wrong—easily become a “white saviour” story (a story in which a white character rescues people of colour from their plight). Of course, as a white person myself, I am not really the most qualified to evaluate how well “Rosa” succeeds in presenting its material with sensitivity, and how well it avoids potential problems. As such, before writing this, I made a point of checking out what several black Doctor Who fans on Twitter (including @BlackTARDIS, @ConStar24, @taigooden, and @amandarprescott) had to say. On the whole, their responses have been very positive. The thoughts and opinions in this review are my own, but I have tried to measure my opinions with those of the people most affected. It should be noted, too, that “Rosa” is written by Malorie Blackman (with a co-credit by Chris Chibnall), who is the first person of colour ever to write for Doctor Who. The fact that Doctor Who has taken so long to have a non-white writer is rather depressing, and it is perhaps appropriate that Blackman write an anti-racist story at this time, as Doctor Who struggles to break down its own systemic barriers. When I was young, I got a unique thrill out of watching a Doctor Who episode for the first time. It was always there, even if the episode wasn’t particularly good. The show just excited me in a way that’s difficult to express—a way that just didn’t happen with any other show. This is not to say no other show or movie could thrill me. Many did, just not in the same way. Doctor Who’s thrill was something very different. When Doctor Who returned in 2005, that thrill returned with it, and it stuck around through Series 1 through 4. Sometime during Series 5, that thrill began to diminish and eventually vanished altogether. I was becoming more and more dissatisfied with Doctor Who. I still enjoyed the show, but it no longer seemed to have that quality that—for me—elevated it above other shows. It was actually one of the things that eventually motivated me to start this blog—so I could organise all my scattered thoughts in one place. Over the next few years, that thrill didn’t return (except maybe for “The Day of the Doctor”), even when I thought the show was getting a lot better again. As much as I really liked Series 10, that thrill still didn’t return. To be honest, I had pretty much forgotten the thrill had ever existed. However, last week, about midway through watching “The Woman Who Fell to Earth” for the first time, I suddenly realised I was feeling that thrill again, and it produced a moment of joy unlike any I’ve felt for a long time. I didn’t mention it in my review of “The Woman Who Fell to Earth” because, honestly, I was a little afraid it would go away again. However, I am thrilled (I use that word deliberately) to say that it was still present for the most recent episode, “The Ghost Monument.” Of course, there’s always the possibility that things could completely turn around again, but having that thrill there for two episodes in a row is a pretty big thing, and worth celebrating. Now comes the difficult part of analysing just what it is that creates that thrill for these episodes, and not for the last several years. But I think I’m up for the challenge. 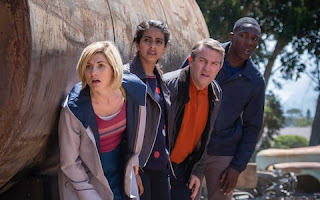 “The Ghost Monument”, once again written by Chris Chibnall, is a wonderful episode that mixes tense excitement with heartfelt character moments, some humour, and a touch of creepiness. Jodie Whittaker has settled fully into the role of the Doctor and simply excels. The Doctor’s companions friends (I’m having difficulty getting used to the change of terminology) are similarly great, particularly Ryan and Graham, as are the guest cast. It also looks visually breathtaking, with incredible alien vistas and impressive special effects. On the whole, I like this episode even more than “The Woman Who Fell to Earth’, although I also feel it has more issues than last week’s episode. It’s a bit of an oxymoron, but change is one of the few constants on Doctor Who. There are very few other shows out there where after just a year or two, the entire cast might be completely different. Companions come and go; the Doctor regenerates. The people behind the scenes, from writers to producers, change too. The new people bring with them new ideas, new styles, and new aesthetics. Sometimes there might be little to no change in the cast and crew, but the current people working on the show simply decide to do things differently. Even one episode to the next can bring marked changes. It’s simply a matter of fact that change is ingrained into the very structure of Doctor Who. It has been since the second season in 1964 when the Doctor’s granddaughter Susan left the show and the cast changed for the first of countless times. One of the great things about this is that is that it allows Doctor Who to be so many different things to so many different people. If the current version doesn’t have what you’re looking for, you know it’s only a matter of time before it changes and maybe the next version will have what you want. It’s one of the things that have kept the show going for so long. Doctor Who has changed again. And this time, it’s one of the bigger changes. 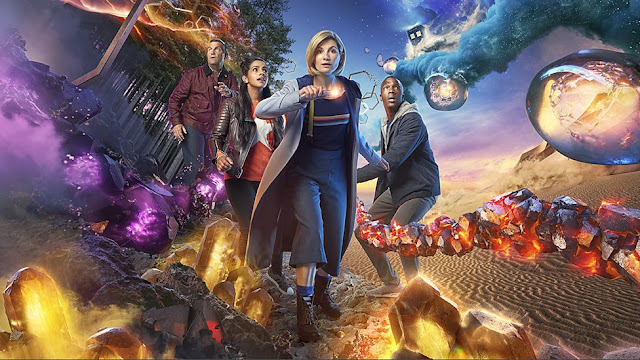 Not only is there a new Doctor (who also happens to be the first female Doctor), there are also three new companions, a new showrunner, new writers, a new music composer, and quite a lot else new both in front of and behind the cameras. Oh, and there are new cameras too, a new aspect ratio, and a completely new look. Indeed, this is probably the biggest change since 2005 when Doctor Who came back after sixteen years off the air. The changes this time also bring with them the perfect jumping on point for new (and lapsed) viewers. Doctor Who can be an intimidating programme to come into if you’ve never seen it before. With nearly 850 episodes produced over 55 years, there’s a massive backlog of history and (often contradictory) continuity that can seem overwhelming. But the simple matter is, you don’t need to see all that. Over the years, the show has had numerous spots where new viewers can easily start in without having to worry about anything that’s come before. That’s the case this year. The show is starting afresh. There are no returning plot-lines, villains, or monsters from previous years. Everything is completely new. The show hasn’t forgotten what came before, but it’s not relying on its past. It’s been a bit of a wait since the last series. Not sixteen years, obviously, but it has been fifteen months since Series 10 ended. Jodie Whittaker was announced as the thirteenth Doctor just after that on 16 July, 2017, and she made her début in the closing moments of last December’s Christmas special “Twice Upon a Time” when Peter Capaldi’s twelfth Doctor regenerated into Whittaker’s thirteenth. So, with all the changes, was the wait worth it? “The Woman Who Fell to Earth” by Chris Chibnall is not a perfect episode (if such a thing even exists). I have criticisms of it (which I will get to in due time), but overall, I absolutely love it. It is an easily accessible episode with great, relatable characters, a lot of emotion, and more than a few thrills. 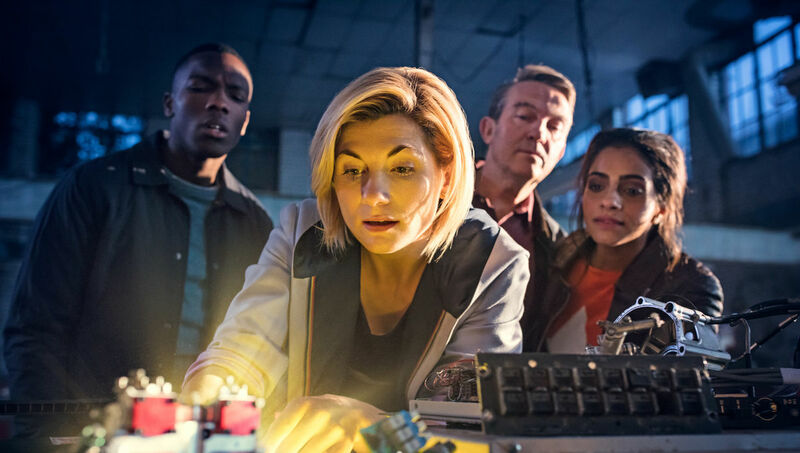 The plot is fairly simple and straight-forward, allowing it to focus on introducing the new characters and to ease viewers into the world(s) of Doctor Who. One thing people who have seen recent series of Doctor Who will almost certainly notice very quickly about this episode is how grounded it is. Former showrunner Steven Moffat aimed for a “fairy tale” style to the show. It was high fantasy (in a science fiction framework) with fantastical plots and fantastical characters. New showrunner Chris Chibnall’s newest iteration of Doctor Who has obviously not dispensed with fantastical elements entirely, but when I say that it is more grounded, I mean that it focuses more on setting the fantastic amidst a backdrop of realism. There’s a greater focus on showing the everyday lives of the characters and developing them as people viewers might actually meet. The opening scenes show the characters dealing with real-life concerns and issues before involving them in the plots of aliens. And even once the aliens show up, it never loses touch with that sense of reality. One way it achieves this is through the use of something that I have sorely missed in recent years on Doctor Who (and long-time readers of my reviews will be familiar with me mentioning on many occasions): consequence. Actions have effects that reverberate into people’s lives and change them. People also die in this episode. And they stay dead. There’s actual tension as a result, and the alien menace feels like a real threat. But there’s humour and fun in the episode too. The humour is more subdued than recent years. There are fewer witty quips, notably. However, there are still quite a few very funny moments, and while the episode does get a bit dark (not just visually, although much of it is set at night, so visually too) and bleak at times, there are light-hearted moments, too, helping to keep a sense of fun. A lot of that fun comes from the Doctor herself. Jodie Whittaker is absolutely wonderful. She has great presence and energy. Within moments of her first appearance, she establishes herself in the role. There is no doubting that she is the Doctor. There are a lot of great things to be said about her companions too, and the actors who play them. And the specifics of the story. And so much more. 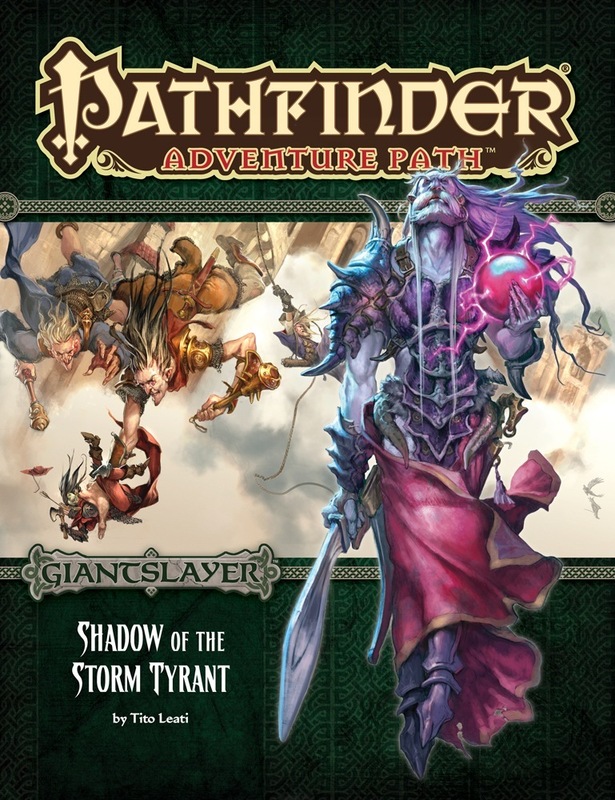 Throughout the Giantslayer Adventure Path, the player characters have taken on the servants of Volstus, the Storm Tyrant and the forces they’ve been building in the Storm Tyrant’s name. In Shadow of the Storm Tyrant by Tito Leati, the PCs finally make their way to the Storm Tyrant’s cloud castle and take the battle directly to him. I’ve had mixed opinions of the instalments of Giantslayer so far—some have been good, others not so good—but Shadow of the Storm Tyrant works well as the culminating adventure. It’s primarily a dungeon crawl, but has a good sense of urgency and variety that its predecessor, Anvil of Fire, is missing. It also has some epic-feeling encounters and combats appropriate for a high-level party, and it makes good use of its setting, which helps to turn what could have been just a bog-standard dungeon crawl into something much more unique.